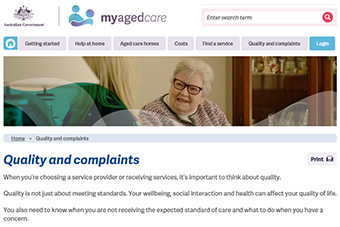 My Aged Care Quality and complaints process has been simplified. My Aged Care Quality and complaints process has been simplified. The department has made changes to the complaints information available to the public, simplifying the complaint pathways and made this information easier to understand for the consumer. Please see the website and the factsheet for your information.